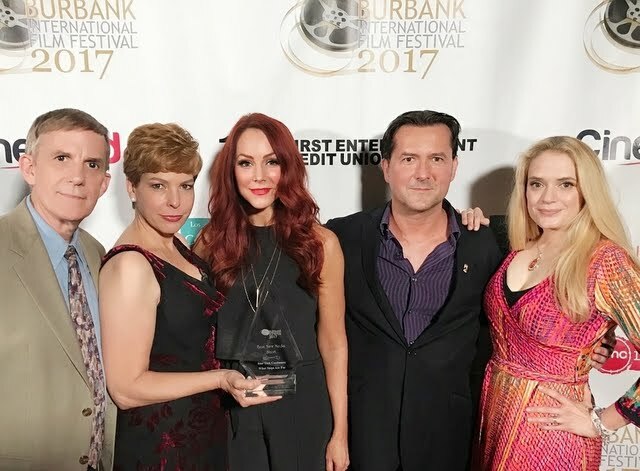 Makeup supervisor Tim Vittetoe, producer / makeup supervisor Lisa Hansell, actress Michele Specht, producer James Kerwin, and actress / episode writer Kipleigh Brown were on hand to accept the award in Burbank. A series of industry awards brings new recognition to STAR TREK CONTINUES. “What Ships Are For” (Episode 9) won the “Best New Media” category at the 2017 Burbank International Film Festival. “Still Treads the Shadow” (Episode 8), directed by Julian Higgins, also won five awards from the International Independent Film Awards, including Best Webisode. Other honors go to Vic Mignogna with Best Actor in a Leading Role, and recognition for Production Design (William Smith and Scott Grainger), Sound Design/Editing (Ralph M. Miller), and Make-up (Lisa Hansell and Tim Vittetoe). I love this whole series. As for me, these are Star Trek Cannon!! Dont ask me mt opinion of current "reboot or Discoverwhatever" STC IS Star Trek!!! Vic, i watch these from time to time and will keep coming back to them, but I fear in time, they may disappear. Will there be some manner we may obtain copies for home viewing someday? So much time, effort, and energy was put into these stories and 30 years from now I'd like to watch tbem with my great grandchildren. During my 60+ years of life I have proudly stated that the only thing I honestly hated was the word Hate. I prided myself on the fact that like I was tought by a very wise and wonderful man, There was a little spark of good in everyone and we should try to help that good shine. Now, However, I find that for the first time in my life I HATE. 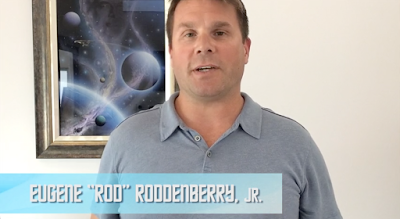 I hate CBS, and Paramount, for Killing Gene Roddenberry's Idealistic vision of the future. I just finished watching the last to be produced episode of "Star Trek Continues, To Boldly Go Part Two"
Because of CBS and Paramount, Production of this online series was brought to an end due to new rules and regulations that they set fourth because they felt the strong strangle hold of honest competition. This series Is the first REAL Star Trek anthology that begins where the Original series ended. They continue the Vision by giving us a cast of actors (Including James Doohan's son Chris Doohan who plays his fathers role.) that you begin to believe are the originals after only three episodes. This Online Series Is What CBS SHOULD have given us instead of Star Trek: Discovery. I HATE YOU PARAMOUNT!!! I Hate that you could not leave the competition alone. I HATE YOU CBS for offering us a crap fest called Discovery. I HATE you for making this 61 year old man weep heartfelt tears at the loss of a Star Trek series that was all any real Star Trek fan ever really needed.